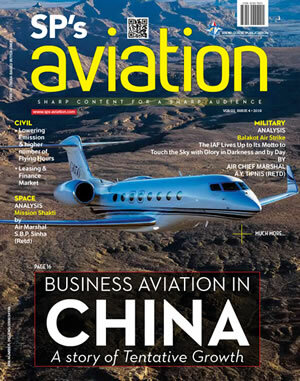 Will Business Aviation Ride Piggyback on RCS? The business aviation community is still trapped in the perception that it is ‘elitist’, though there are instances of how the segment is a business tool. Trying to shed this ‘elitist perception’ has been the Business Aircraft Operators Association (BAOA) through its annual BizAvIndia conferences, seminars and workshops, BizAvIndia magazine in association with SP’s Aviation and other networking events. 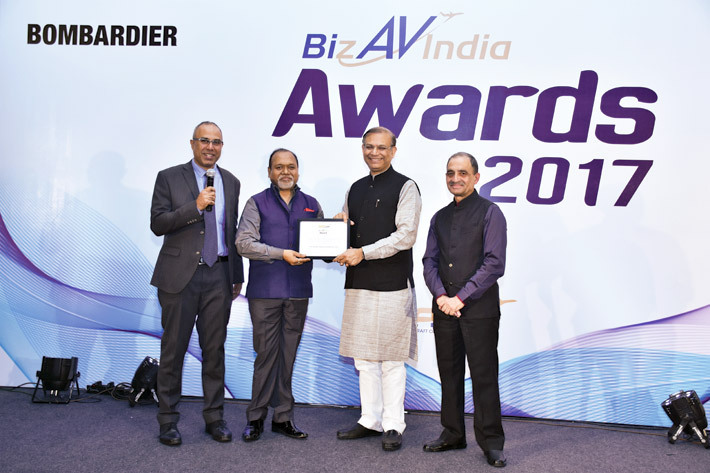 The recent and its third BizAvIndia conference with presentation of awards, held on the eve of Aero India 2017 in Bengaluru was no exception. 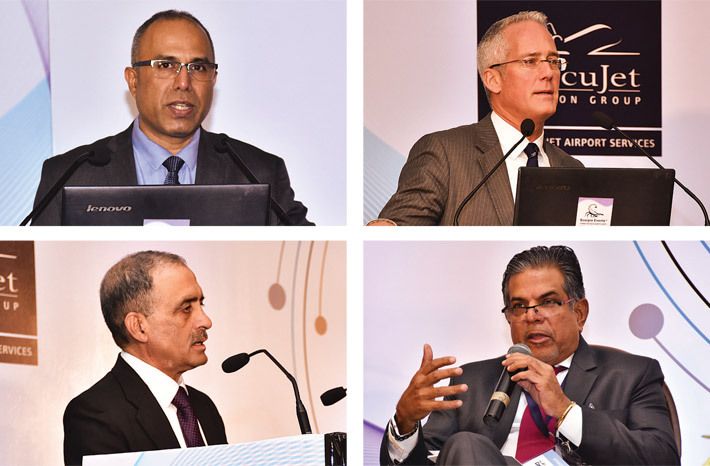 While the BAOA does a commendable job of lining up eminent speakers from the industry, somehow the BAOA seems to have missed out on two major elements that would be of help in fighting the ‘perception’ battle. The third BizAvIndia conference held at Leela Palace in Bengaluru had only one government official attending. Greater efforts need to be put in to bring government officials to such events. The second missing element was mainline media, not the trade media, which still has considerable influence on decision-making and on perception issues. Raising a point to this effect was Jayant Baranwal, Editor-in-Chief of SP’s Aviation, who said that the BAOA has to get the captains of the industry such as the Tatas, Birlas and the Jindals involved in taking up the cause of business aviation. They are not only individuals who use business aircraft for business purposes; but also are highly influential and what they say grabs media attention. This point was further strengthened when former President of BAOA Rohit Kapur stated that it would make sense to have ‘new generation of owners’ to lobby and also to help BAOA become financially healthy to take up series of events to create awareness and interact with the government authorities. Rohit Kapur said while there was a breath of fresh air (thanks to various initiatives of the government), at the implementation level, there were lot many hurdles and a shake-up was essential. The sole representative from the government at the conference, R.K. Chaukiyal, Executive Director of the Airports Authority of India, mentioned that nearly 60 per cent of the bidders under the Regional Connectivity Scheme (RCS) were from the general aviation/business aviation segment and he was aware of the challenges. He said in the first phase of the tendering process which had commenced, about 35 airports would get operationalised which would address issues of connectivity to regional and remote areas. Of the 476 airports, including defence and civil enclaves, 94 airports were operational and of that only 75 had scheduled operations, thus indicating the huge gap that could be tapped by regional, general and business aviation operators. India, he said, was the least penetrated aviation market in terms of per capita at 0.4 trips, while in China it was 0.15 and in the US it was 2.12. To encourage increased aviation activity, he said the government was liberalising conditions such as non-AOP holders could also apply for RCS. Also 15 states had signed memorandum of understanding (MoU) and others would soon follow to implement the scheme. While acknowledging that RCS was a good start, Rohit Kapur said that seamless transformation of ‘existing capacity’ in general aviation/business aviation into ‘unserved and underserved’ areas would not be possible. The draft Civil Aviation Regulations (CAR) was not ‘doable’. 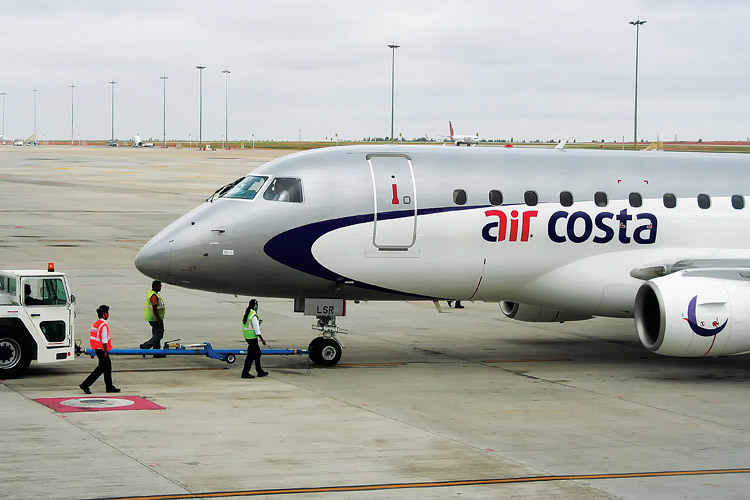 The ministry had straight away introduced the Scheduled Commuter Airline (SCA) category and the entry barriers were different from non-scheduled operators. “It is an extra conservative approach of the Directorate General of Civil Aviation. The existing capacity which is sitting on the ground is not able to move into RCS.” Charter companies wanting to operate under the RCS have to get certification under the category of SCA. The other problem was that the regulator has said the SCA operators cannot use a single-engine aircraft and that only a twin-engine aircraft is eligible. In response to this, Chaukiyal mentioned that the single-engine issue had been flagged for consideration and that most probably it would be allowed soon. The Viability Gap Funding (VGF), Rohit Kapur said, was not aligned for under 20-seat category of aircraft. The existing NSOPs should be allowed to apply for VGF. The process of bidding for RCS, he hoped that the authorities had done due diligence. The BAOA President Jayant Nadkarni said these were early days of reform and there was considerable vibrancy, yet there was need for a lot of ‘cleansing’ in governance. He said that BAOA, on its part, was looking at ways to optimally utilise business aircraft fleet. “There has to be a seamless and transparent link between operators, though not cartelisation, if the aircraft utilisation levels have to increase.” The BAOA, he added, would constantly engage with the government to address the issues of the industry. Meanwhile, the BAOA would continue to organise safety workshops and other industry-related events to be a robust and responsible sector. Group Captain R.K. Bali (Retd), Managing Director of BAOA, said the National Civil Aviation Policy was a comprehensive one and that regional connectivity scheme got top priority and it was for the general aviation and business aviation segments to benefit from this, though there were many issues that needed to be sorted out. The sector had to look at ways to ride piggyback on RCS. Kanika Tekriwal, CEO and founder of JetSetGo, said the biggest challenge was that of infrastructure or the lack of it. “Sometimes, we do four destinations in a day and there are different regulatory issues for each of them. There are last minute surprises by the regulator which may have a bearing on costs, she said; but added that the business aviation segment was not an unprofitable industry. However, she mentioned that the advice given to prospective buyers of aircraft is not go ahead as there is nearly 45 per cent underutilisation of the business aviation fleet. We are instead suggesting to prospective buyers to ‘buy flying hours’. 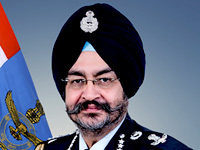 Vineeth Phatak of Invision Group said the country needed more aircraft management companies, thus bringing about further professionalism in the sector, while Group Captain Pankaj Chopra (Retd), Director (Aviation) of Oberoi Group, said safety aspects were important and “we should not lose sight of safety”. He pointed out that between 2010 and now, there were eight fatal accidents in business aviation which was “not good statistics”. Mark Martin of Martin Consultancy said while the general aviation/business aviation segment had taken progressive steps, there was need to make noise for the powers that be to respond. “We need to go to the Parliamentary Committees to make them aware of our problems.” To which the BAOA President said “the BAOA will not go on dharna, but surely will engage with the authorities.” Kapil Kaul of CAPA suggested that the BAOA bring out a paper on the ‘economic loss’ to the country of not using business aircraft, instead of talking about ‘economic gains’ of using business aircraft.